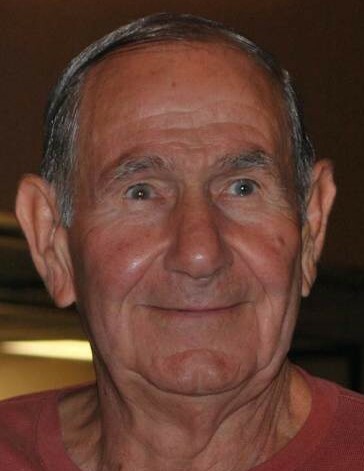 Lindley Hubert (Sonny) Florence, age 86 of Powder Springs, GA passed away on Sunday, February 10, 2019 at his residence on family land where he was also born. He was a Plant Supervisor at Austell Box Board for approximately 47 years and a member at the First Baptist Church of Powder Springs. He loved Jesus, his family and farming. Mr. Florence was preceded in death by his parents; Hubert and Norine Florence. Survivors include his wife of 66 years, Nell Rainey Florence of Powder Springs, GA; son and daughter-in-law, Ricky and Alicia Florence of Missouri City, TX; daughters and sons-in-law; Vicky and John Hogue of Powder Springs, GA, Tammy and Ron Kastner of Powder Springs, GA, Cathy and Chuck Carter of Dallas, GA; ten (10) grandchildren, seven (7) great-grandchildren and many nieces and nephews. Funeral services will be held on Tuesday, February 12, 2019 from the First Baptist Church of Powder Springs at 2:00 p.m. with Rev. Mike Woods, Rev. Moses Florence and Rev. Alan Davis officiating. Interment will follow at Pleasant Hill Church Cemetery. The family will receive friends at the funeral home on Monday, February 11, 2019, from 5:30 until 8:00 p.m.
Clark Funeral Home in Hiram, GA, is in charge of the arrangements.